McCloud case/Cost cap Q&A published. Please go to the Cost Management page to link to the Q&A and consider the question of how best to approach the 2019 valuation in light of the case and the pause of cost cap. SAB pauses cost management process following last week’s WMS pausing cost cap as a result of McCloud. Please go to the Cost Management page for more information for more information. Hymans Robertson has been appointed by the Scheme Advisory Board to conduct a survey on governance of the LGPS and potential conflicts of interest between the pensions function of administering authorities and their host local authority. A statement setting out details of how the survey will be conducted can be found here. Government announces a pause in the cost cap process for all public service pension schemes due to the uncertainty caused by the ruling of the Court of Appeal in the McCloud case. Please go to the Cost Management page for more information. A joint MHCLG Scheme Advisory Board infrastructure event was held on 15th November 2018. This was well attended by pension fund committee chairs; this note provides a summary of the main points of discussion for those committee chairs unable to attend. It is with extreme shock and sadness that we learned of the sudden death of Cllr Ian Greenwood, who died in hospital in Bradford on Monday evening 12th November. Following re-election to the City of Bradford Council in May this year, Ian was appointed to the Board and elected Chair of the Local Authority Pension Fund Forum. Ian was a giant in the LGPS, over many years he served the scheme and its members as chair of LAPFF, chair of the Local Government Pensions Committee, lead on pensions at LGA ( including chair of scheme reform group in 2011-12), chair of the Board’s Investment and Engagement Committee and latterly as a member of the full Board and chair of the Northern Pool. He always focused and the provision of excellent value to scheme members and employers while ensuring that LGPS funds were not only invested wisely but worked hard to advance better corporate governance. The FCA announces the launch of the Cost Transparency Initiative (CTI). Please see FCA Statement - Launch of Cost Transparency Initiative for more details. The Board publishes a summary note of the meeting held on 10th October 2018. Please see the Publications section of the website for details. The Ministry of Housing, Communities & Local Government publishes "Local government pension scheme funds for England and Wales: 2017 to 2018" (SF3) statistics. Please see the Local Government Statistics LGPS England and Wales 2017 to 2018 for details. Total Local Government Pension Scheme expenditure in England and Wales in 2017-18 was £12.7 billion. Removing the effect of mergers and large transfers in 2016-17 and 2017-18 there was a like-for-like increase of £0.8 billion or 7.4% on 2016-17. Total Local Government Pension Scheme income in England and Wales in 2017-18 was £17.4 billion. Removing the effect of mergers and large transfers in 2016-17 and 2017-18, there was a like-for-like increase of £3.0 billion or 21.4% on 2016-17. This is mainly due to an increase in Employers’ contributions in 2017-18. Employers’ Contributions to the Local Government Pension Scheme in 2017-18 in England and Wales amounted to £9.5 billion, up 27.7% on 2016-17, and employees’ contributions to the scheme were £2.1 billion. Employers’ Contributions increased due to some large upfront pension contribution payments (deficit contributions) being made by some employers and higher contribution rates following the triennial valuation. The market value of the Local Government Pension Scheme funds in England and Wales at the end of March 2018 was £270.9 billion, an increase of £12.1 billion or 4.7%. The Local Government Pension Scheme in England and Wales encompassed 5.8 million people at the end of March 2018. Of this number, 2.0 million are employees who are still contributing to the scheme, 1.7 million are pensioners and 2.1 million are former employees who are entitled to a pension at some time in the future. The number of people leaving the Local Government Pension Scheme in 2017-18 due to redundancy reduced by 19.9% from 2016-17 to 10,847. A number of funds reported there were special redundancy exercises or restructuring in 2016-17 and that the large reduction in 2017-18 was a consequence of that. LGPS third tier employers - At the meeting of the Scheme Advisory Board on 27th June 2018, Aon presented members with a summary of the final draft report commissioned by the Board to review current issues faced by the LGPS and associated stakeholders in relation to third tier employers participating in LGPS funds in England and Wales. The Board is anxious to point out that the report makes no attempt to make any recommendations. Instead, it outlines a range of issues raised by stakeholders and how they envisage these concerns being resolved. The Board agreed that the report should be published and that a small working group of Board members will be established to review the concerns expressed by third tier employers in the report and the ways in which they could be resolved. The working group will be tasked to report back to the Board later in the year with a set of recommendations for further consideration. Once approved, scheme stakeholders will be given the opportunity to comment on the Board’s recommendations before any formal approach is made to MHCLG Ministers for changes to the scheme’s regulations or guidance. A copy of the report can be found here with details of the third tier employers’ project here. 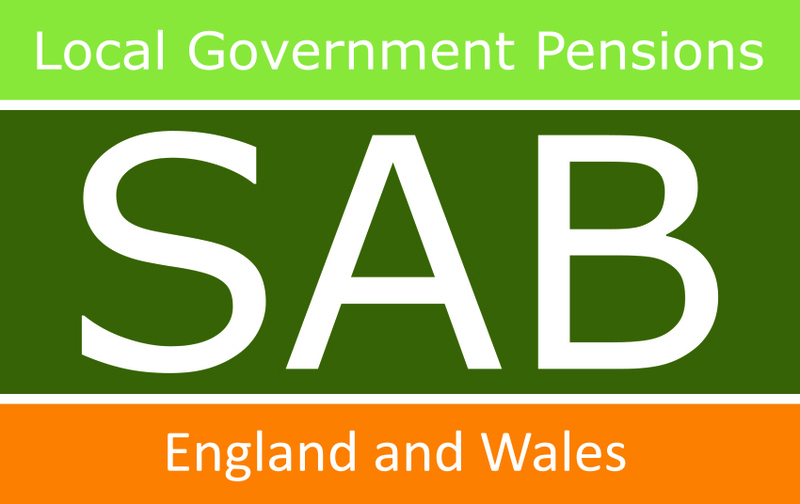 In a Written Ministerial Statement on the 6th September 2018, the Chief Secretary to the Treasury, Elizabeth Truss, announced details of the quadrennial valuation of the public service pension schemes, including the Local Government Pension Scheme in England and Wales. A transcript of the announcement can be found here. For the unfunded schemes, initial results show that their members will get improved pension benefits over the period April 2019 to March 2023. Early indications are also that the amount employers pay into the unfunded schemes will need to increase. In the case of the funded LGPS, the scheme advisory board operates an additional cost cap process. In accordance with agreed policy, this will be allowed to complete before the HM Treasury cost control mechanism is tested. It is not therefore possible at this stage to give any indication of what the outcome might be. If the Board’s cost control process results in a recommendation that changes to the scheme should be made, and the government accepts the Board’s recommendations, the Treasury’s cost cap process will be adjusted to take the new scheme design into account. The Chief Secretary also announced in the technical annex (copy here) to a letter to Frances O’Grady at the TUC (copy here), that the scheme valuation under Treasury’s cost cap process should be moved from the current triennial to a quadrennial cycle in line with other public service scheme valuations. Please note that this is not to be confused with local fund valuation. However, discussions with MHCLG and actuarial advisers will take place shortly to consider the implications of this change for local fund valuations. A copy of Treasury’s draft 2018 Direction can be found here. Scheme Advisory Board launches "Code of Transparency compliance system" tender exercise. The tender is to design, build, host and support a system to validate / check for completion the templates received from the relevant fund managers for each of the relevant LGPS funds and or Pools. Delta eSourcing is being used to run this exercise, please visit www.delta-esourcing.com/respond/R87C47F5VR for more details. Scheme Advisory Board opens invitation to bid, "Options for separation of host authority and pension fund". Following a report by KPMG examining the issues and challenges of separating the pension’s functions of LGPS, the next stage is to see how the recommendations that emerged from the report could be made to work. For more information and instructions on how to bid, please see the invitation to bid page. New MiFIDII Q &A - A Questions and Answer document has been developed to assist LGPS funds and managers to effectively deal with new relationships post January 2018 when local authorities are default retail clients including conversations at conferences. The document can be found on the MiFIDII home page . LGPS third tier employers - At the meeting of the Scheme Advisory Board on 26th February 2018, Aon updated members on progress of their work commissioned by the Board to review current issues faced by the LGPS and associated stakeholders in relation to third tier employers participating in LGPS funds in England and Wales. Aon outlined their extensive engagement with the main third tier employers’ sectors including higher education, housing associations and charities as well as other key stakeholders, and confirmed that they are now ready to analyse the survey and interview data. The Board was content with the progress made by Aon to date and agreed that they should now proceed to prepare their draft report for consideration at the next Board meeting on the 27th June 2018. Details of the third tier employers’ project can be found here. On the 27th March 2018, the Chairs of LGPS pension committees and local pension boards attended an open session where representatives from the eight asset pools reported on their progress in establishing their organisational structures and governance arrangements. A copy of the presentations used on the day can be found here. Steps will soon be taken to establish the Cross Pool Open Forum approved by the Scheme Advisory Board in February 2018, comprising three representatives from each of the eight pools and three trade union representatives. The Scheme Advisory Board agreed at its meeting of 26th February to amend the Code of Transparency (7A.) to include the provision for alternative investment managers signing up on the basis that cost data substantially similar in scope and detail to that covered by existing templates is submitted to LGPS clients. Under this provision, investment managers must adopt and make use of relevant Code templates as they become available. In addition, (11.) has been amended to refer to the outcome of the FCA’s Institutional Disclosure Working Group, IDWG. Rishi Sunak MP has been appointed as Marcus Jones’ successor with responsibilities for the scheme and its advisory board. Rishi Sunak was appointed Parliamentary Under Secretary of State at the Ministry of Housing, Communities and Local Government on 9th January 2018. Rishi was elected as the MP for Richmond (Yorkshire) in 2015. Under another part of the government’s changes, DCLG will in future be known as the Ministry of Housing, Communities and Local Government (MHCLG). It was with shock and great sadness that I learned of the death of Cllr Kieran Quinn on the evening of 25th December. My thoughts are with his family and friends at this desperately sad time. Kieran’s energy, drive, enthusiasm and commitment to the pension scheme and its members will be difficult if not impossible to replace and I will personally greatly miss his support, good humour and friendship. It is my sad duty to have to inform you of the death of Councillor Kieran Quinn, the Executive Leader of the Council and the Chair of the Greater Manchester Pension Fund (GMPF). Kieran died on Monday evening (25 December 2017) following a fall precipitated by a heart attack while out with his wife, Councillor Susan Quinn, delivering Christmas cards to constituents in Droylsden on Saturday (23 December 2017). Our thoughts go out to Susan, and their two boys, who were at Kieran’s side when he died. In his various roles Kieran made an enormous contribution to the community of Tameside and Greater Manchester. As well as being the Executive Leader of Tameside Council he was the Chair of the Greater Manchester Pension Fund (GMPF) and an architect of devolution for Greater Manchester. At times of great challenge when clarity of leadership was required Kieran never shied away from the tough decisions. Whether astutely guiding Tameside Council through the most difficult period for local government in living memory, ensuring the GMPF grew into the largest most successful pension fund in the UK against the wider trend of pensions shortfalls or fighting to reduce the north south economic imbalance now widely recognised through the Northern Powerhouse agenda, he always stood up and provided the necessary leadership. In all his roles Kieran worked tirelessly for everyone in the community, especially those most vulnerable and in greatest need of a helping hand. It is that which will be his legacy. But beyond the public face and the many offices he held Kieran was at heart a family man, rooted in his local community. And for many of you Kieran will have become a friend as well as a colleague. I am sure you will all join me in passing on our deepest sympathy to Kieran’s wife, Susan, their two boys and their wider circle of family, friends and colleagues. The Council will be setting up a book of condolences and any message you would like to leave or make can be made to [email protected] in order to allow the family to come to terms with their shock and loss. Meanwhile, the Deputy Leader, Councillor John Taylor will lead and address any business matters. If you are a SAB member, please go to the Login form to access secure content.